If you have any doubt to what the ultimate finish to a meal is, then safe to say an event like EAT! Pastry is not for you. Back for its second year in Vancouver's biggest food festival, EAT! Vancouver, a roster of talent was on-hand to deliver the sweeter things in life to hungry Vancouverites. 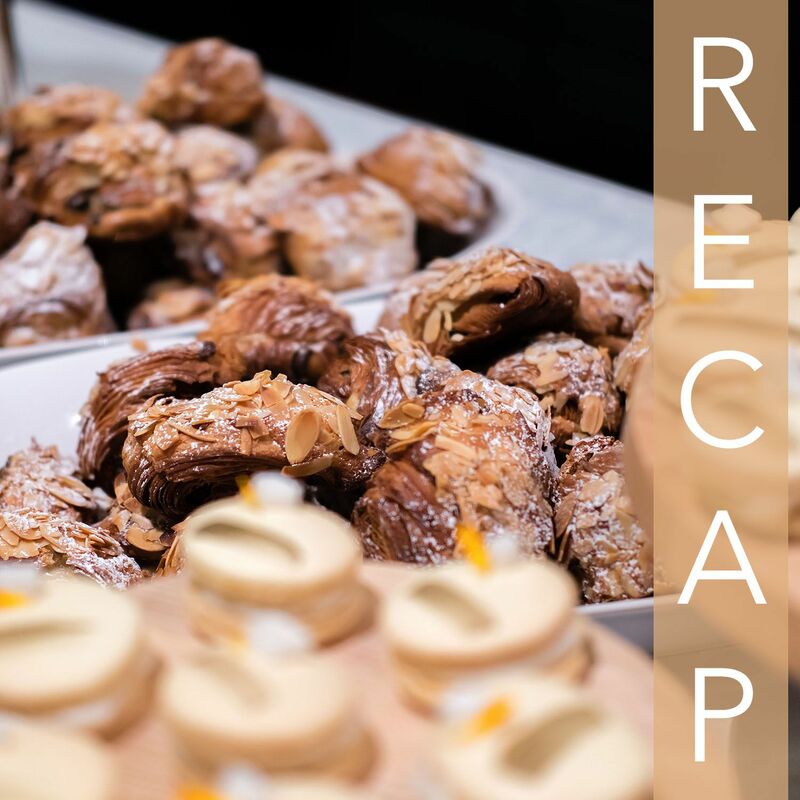 After sampling through 15 stations, I've got a recap of my favourite desserts and the patisseries/bakeries/cafes/chocolatiers I have my eye on visiting next. Disclosure: I was given a complimentary media pass for this event. All opinions are my own. My first reaction having the smoked milk chocolate budino from PICA was actually that of complete shock. What was a smooth chocolate quickly morphed into something savoury and my taste buds were thrown in for a ride. There was nothing quite like this delectable creation. When you've got a good base for your dessert, the potential is limitless. The base for anything from BETA5 tends to be a cookie-esque cream puff shell, and this apple pie cream puff stole the show in terms of execution. Every cream puff looked decadent and in uniform on the tree stump-inspired display at BETA5's booth. It's no secret that I'm biased for almond croissants (in fact, I'm on the hunt for the ultimate almond croissant in Vancouver. Hit me up with a suggestion below!). For Beaucoup Bakery, one secret of their mini almond chocolate croissant is in the imported butter. I asked Pastry Chef Betty Hung for a hot take on what makes a good croissant and she described in earnest: the rise, the flakiness, and the chewy pull of the folds that unveil a delicious almond paste. All of that was delivered in today's croissants. Starbucks may have popularized the cake pop, but Fairmont Pacific Rim took things one step further with their mini raspberry cake bars. Housed on a ice pop stick, these contained a ton of flavour and were fun to eat. Rounding out the top 5 for me are the opera cakes from Mon Paris, also the newest bakery cafe in this list. The opera cakes featured coffee biscuit, coco nib crunch, coffee crémeux, and dark chocolate mousse. This combination delivered a smooth mix of sweet and bitterness on my palate. In addition to the joys of visiting every tasting station, there were ways to take breaks during this 2.5 hour session. Cocktail stations filled up the remaining space and offered a sweet nightcap to the afternoon and as a break between "rounds" as I saw it. Seriously, 15 dessert stations is a lot for the average human being. Most diners at a restaurant barely finish one! Just like the dessert stations, the cocktail stations provided unlimited samples. In addition to supporting the cravings of guests, proceeds of EAT! Vancouver benefit Project CHEF, an elementary school educational program focused on healthy food and cooking. Would I go back? Yes to the top 5 bakeries I identified after visiting every station.